The milestone text integrating the disciplines of social work and divinity! In everyday life, spirituality and the practice of effective social work are inseparable. As a result, professionals and social service administrators have in recent years felt a stronger obligation to attend to the spiritual needs of clients. 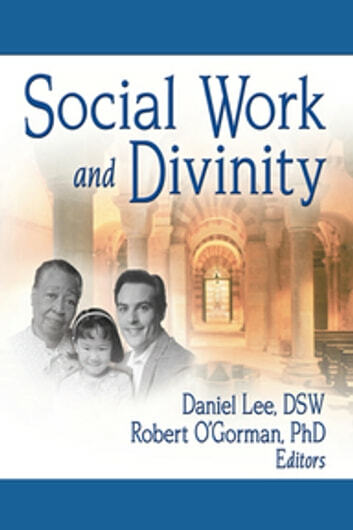 Social Work and Divinity examines the potential of integrating the disciplines of social work with divinity to achieve positive results in practice while answering spiritual concerns. Internationally respected scholars from diverse religious and ethnic backgrounds discuss the academic as well as the practical issues involved in the establishment and growth of dual degree programs. Social Work and Divinity comprehensively explores both the theoretical and the practical foundations of joint professional education and practice for social work and divinity dual degree programs. The book provides suggestions that will guide educators, practitioners, administrators, and students to develop spiritually sensitive approaches to counseling people. Emerging human needs are explored, along with the challenges inherent in the multiple roles a counselor must adopt when developing an interdisciplinary approach. Well-reasoned, insightful, thoroughly referenced, empirically reinforced with tables, this is an essential text sure to become a choice educational reference. 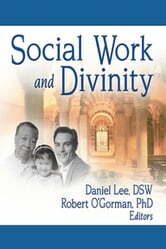 Social Work and Divinity is a milestone textbook for graduate schools of social work and divinity and an essential resource for students and faculty involved in each discipline or in dual degree programs.